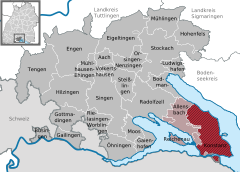 Its inland location gives Konstanz an oceanic climate (Cfb) with relatively warm, humid summers and cold winters. Konstanz station is served by the Upper Rhine Railway running west to Singen with connections to all parts of Germany, and the Etzwilen–Konstanz line running south into Switzerland, connecting to major routes at Weinfelden. 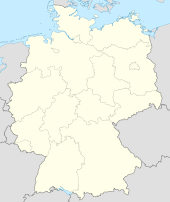 Services are provided by the Deutsche Bahn AG and also the Swiss Thurbo company and its German subsidiary. 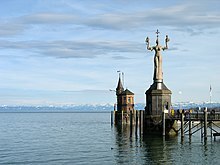 The nearest airport is at Friedrichshafen, which can be reached by a fast ferry service on the lake, which also connects Konstanz to other lakeside towns. The airport mainly hosts domestic flights, but flights to Austria and Turkey are available. 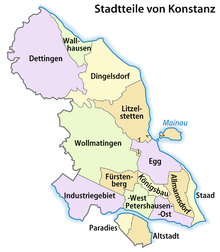 The nearest international airports are in Stuttgart, in Basel, and Zurich, which has a direct train from Konstanz. Bus services within the city are provided by Stadtwerke Konstanz GmbH. It is home to one or more prehistoric pile-dwelling (or stilt house) settlements that are part of the Prehistoric Pile dwellings around the Alps युनेस्को World Heritage Site.